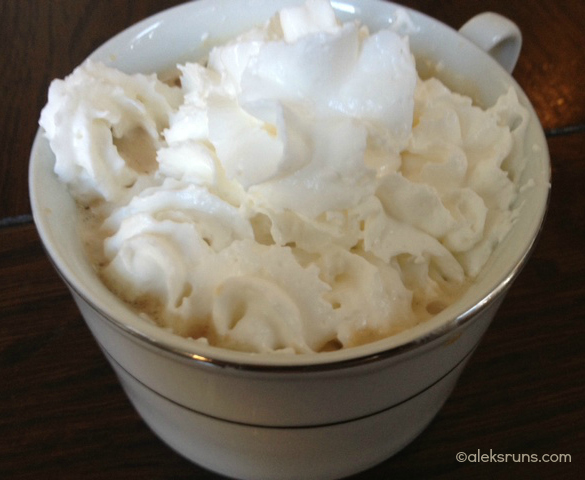 The Best Post-Run Recovery Drink? How not to love this place? Weirdest thing happened when I got to the track today. Just as I was walking out of the car, it started raining — humongous drops of rain and even what I thought were a few pieces of sleet — and stopped exactly 30 seconds later. I kid you not. Was it all a figment of my imagination? 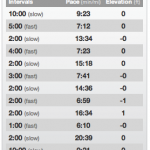 This is my last intervals workout before official training for the LA Marathon starts, so I decided to do my favorite (read: easiest) routine. Psychologically, this is an easy workout because it starts with the hardest part and gets progressively… less hard. 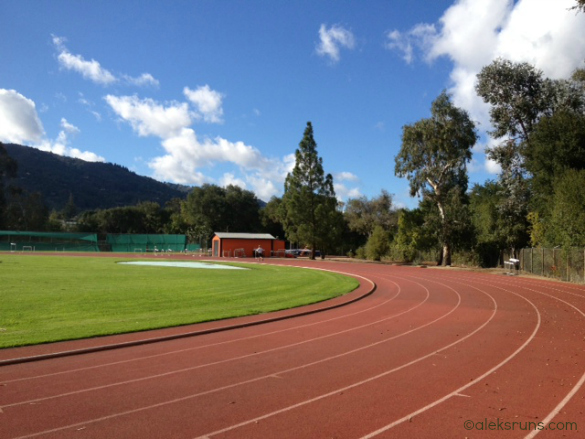 Next Thursday, new track adventures await! In case you didn’t know, chocolate milk is the perfect post-run recovery food, with just the right ratio of protein (milk) to carbs (chocolate). Also, delicious. 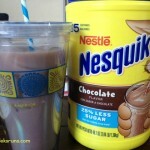 Thankfully, the recalled Nesquik container sizes were all smaller than the 48.7-oz bucket (85 servings!) in our cupboard right now. Costco FTW. 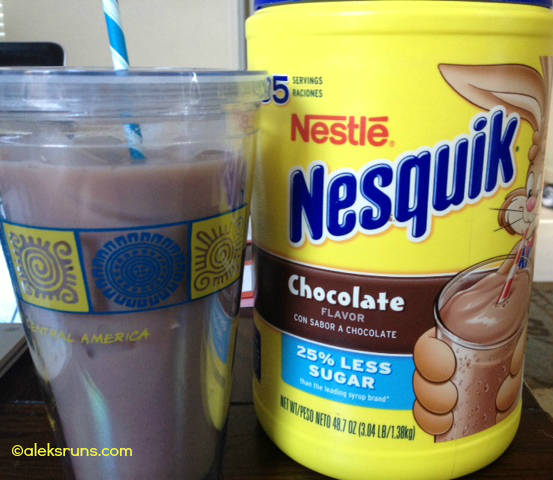 If you’ve got Nesquik Chocolate Powder, make sure it hasn’t been recalled! Ran with another mother runner. Her kids – two boys, ages 6 and 8 – either played on the football field or just sat quietly, entertaining themselves with video games the entire time. Dare I hope that BabyRuns will be this good two years from now? Oh, who am I kidding. 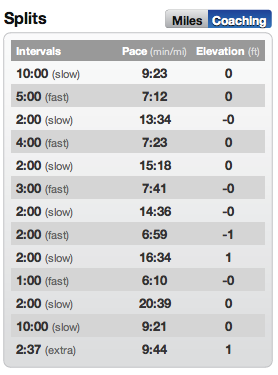 And because I did the exact same track workout the week before, let’s get unnecessarily nit-picky and compare how I did interval by interval. 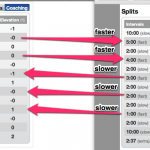 I ran the first – hardest and longest – two intervals faster, but then slowed down a bit. You win some, you lose some. Oh, girl, you *must* get yourself the best bar of dark chocolate that you can and eat it with peanut butter post run! There’s truly nothing better. 🙂 Super excited for you to run LA! Really? Why, I have both ingredients at my disposal and shall try it as early as tomorrow afternoon. Though… have you had sunflower butter? OMG. So good. 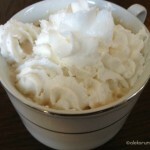 I’m not convinced about the chocolate milk theory….I’m not a fan of the sugar. But I’m a big new fan of milk, post run. 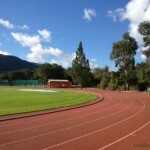 Your track is gorgeous…I have track envy.